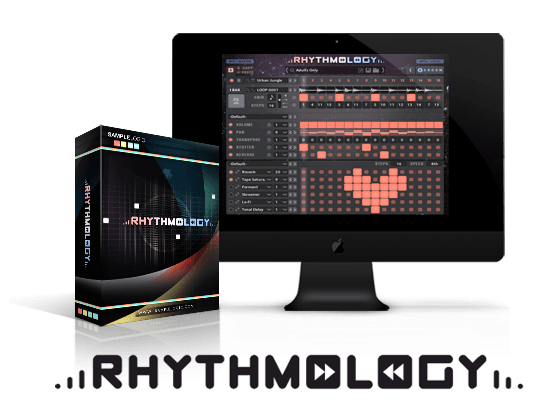 Sample Logic has released Rhythmology – a dynamic rhythmic sequencing and effects engine that runs using Native Instruments’ Kontakt platform. The product comes with over 1,000 sound presets from various instruments and genres, making it a great tool for all styles of music. 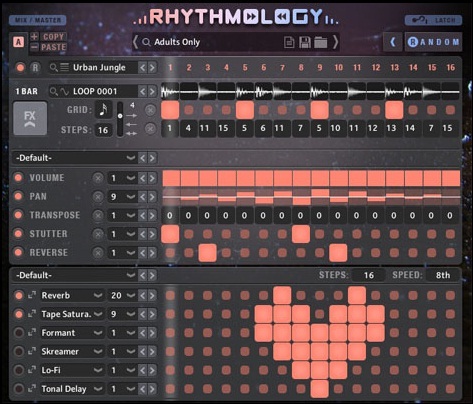 Rhythmology is built using Multi Core – a sample engine created by Sample Logic. It makes possible to use multiple sound sources to create dynamic and interesting sequences. There are four loop cores with individual settings for loop length, static and dynamic effects, playback direction, quantization grid and more. The instrument becomes more interesting when the user realizes that after loading a loop or sound source in one of the four available loop cores, it will be automatically displayed as a waveform and sliced into 16 different parts. It’s possible to rearrange each part, as well as muting and applying dynamic and static effects. By clicking on the FX button at the left, the program opens the effects page. There are two FX sections: static and dynamic. Each one of the 16 loop parts can then be edited separately. There are individual controls for volume, pan, transpose, stutter and reverse. The user can also select one of the several static effects presets and start by them. The dynamic matrix works in a similar way. It comes with six FX slots and there are twenty different effects, such as delay, reverb, EQ, tape saturation, cabinet, chorus, flanger, phaser, and more. 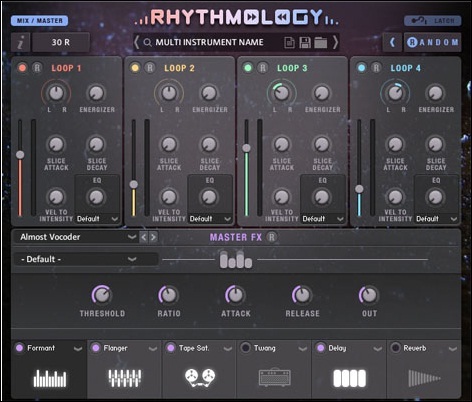 Rhythmology also comes with a master section with settings such as pan, saturator, EQ, volume, slice attack and decay and more for each loop core. There’s even a master FX section, where it’s possible to set six different effects. The program also has a Random feature, which will result in an infinite possibility of combinations. 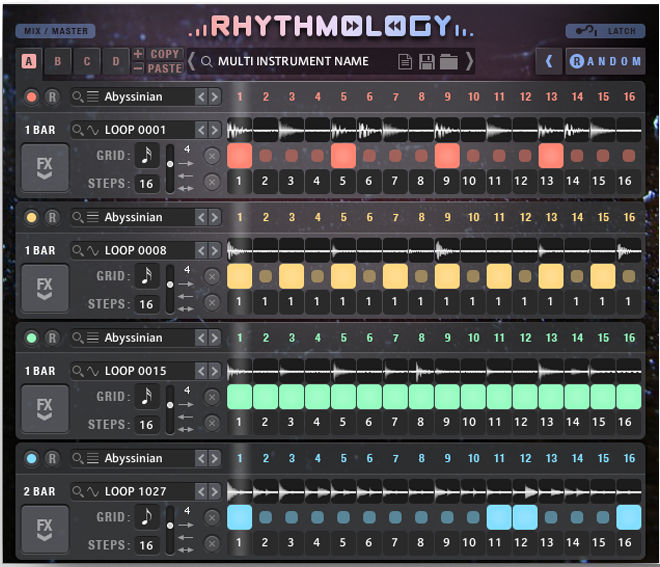 If you’re looking for a great loop engine, Rhythmology is for you. – Mac OS X 10.9 and above compatible.